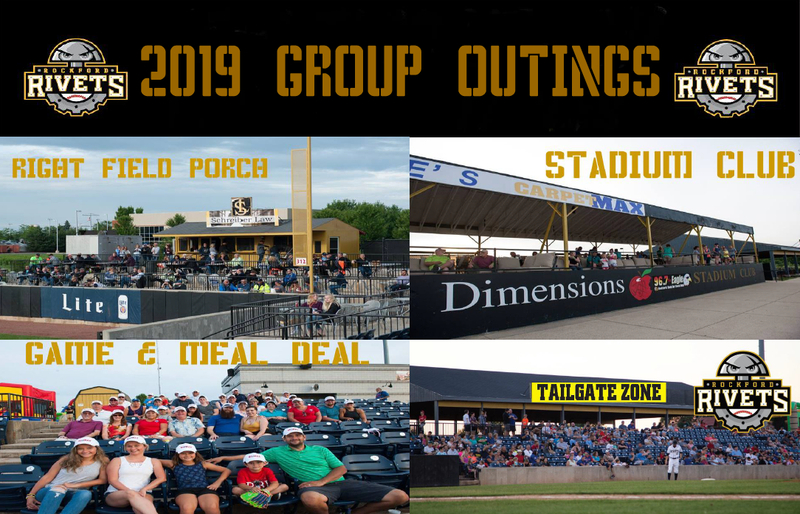 The Rockford Rivets offer a variety of ticket packages that are perfect for group outings. This could be anything from one of the three hospitality areas (listed below) to simply a block of seats together. Call the Rivets office and ask for a Group Accounts Manager for more information 815-240-4159.